More than 3,500 birds died during the 377-megawatt Ivanpah solar project’s first year of operation, a new report estimates. Bird deaths were known at the “power tower” project, which is located in San Bernardino County off Interstate 15 just southwest of the Nevada border. But how many was unclear. Even at the 3,504 estimate, the report considers the deaths a “minimal proportion of local, regional, or national populations” of birds. Ivanpah, the world’s largest concentrated solar project, uses thousands of mirrors that direct sunlight at boilers on top of three 459-foot tall towers, heating a liquid to create steam used to run a turbine. Carlsbad-based NRG Energy operates the Ivanpah project, which it co-owns with Google and Oakland-based BrightSource Energy. The U.S. Fish and Wildlife Service previously called Ivanpah — the world’s largest concentrated solar project — a “mega-trap” for birds and insects, although the exact number of deaths has been a subject of fiery debate. 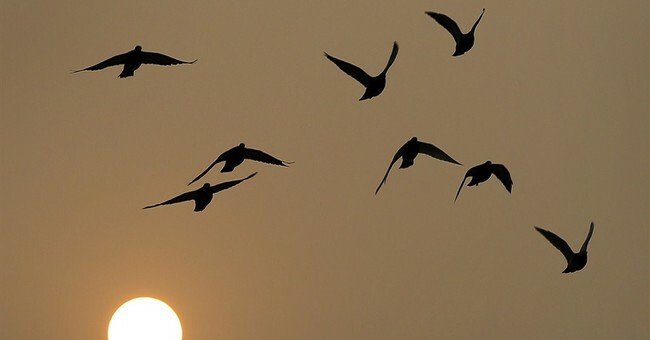 Birds are killed when they fly through the towers, which can reach 1,000 degrees Fahrenheit, according to a Wall Street Journal article published in February of 2014. At the time, the publication noted that regulators knew some birds would die, but didn’t expect the dozens of avian deaths during the project’s construction and testing phase. They’re reaching the conclusion of their two-year study on the solar farm’s effects on birds. Nevertheless, this isn’t an isolated incident. A solar panel farm in Nevada was frying birds flying through the facility. In one test, engineers and biologists noticed trails of smoke emanating from burning birds.